As a member of the grass family, not a tree, the bamboo grows at a much quicker rate than any other wood. Bamboo is 16% stronger than Maple and is 33% lighter in weight than Oak. As a result, the bamboo bowls give you an environmentally friendly way to store your food. 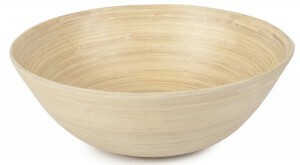 Bamboo bowls also offers function and style your require, making them a great addition to any kitchen. 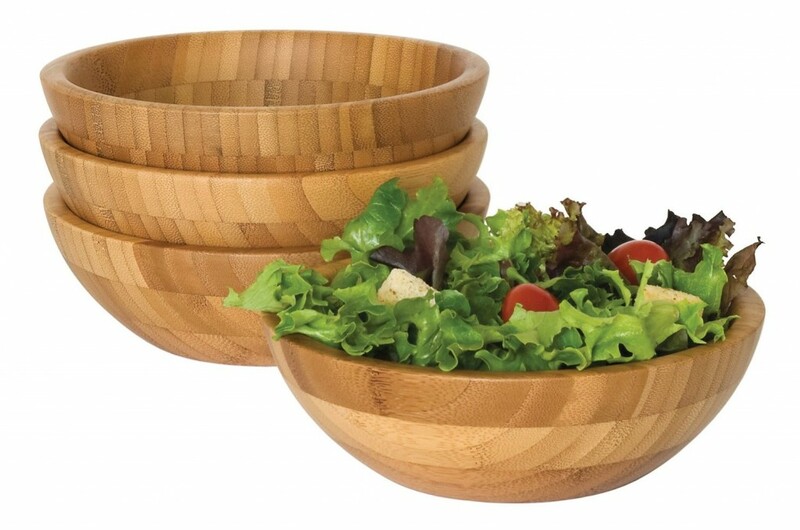 Practical yet beautiful, these Lipper Bamboo Small Salad Bowls help you organize the practical side of your kitchen. This set of 4 small bamboo bowls is made of bamboo-one of the world’s most renewable resources for both style and function. Please note these bows should be stored away from heat and sunlight in a well-ventilated spot since extreme changes in temperature, humidity and dryness effect wood. 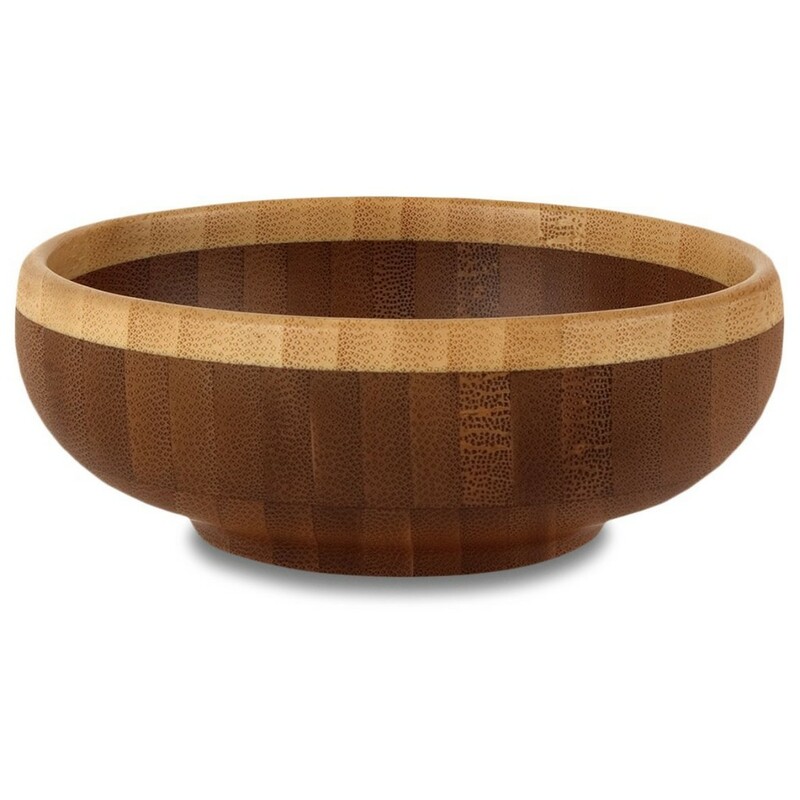 Dimensions: 7-inch Diameter by 2-1/4-inch H.
Made from premium, hand selected bamboo which is a renewable resource, this Totally Bamboo 6-Inch Bowl is not only beautiful, functional, but also environmentally friendly. Perfect for everyday use or special occasions, this bow is assembled with approved food-grade. There are no dyes or stains are used in the manufacturing process. And you don’t have to worry about the color, it is permanent and will not fade or wash out. Come in 5 lively colors -orange, yellow, green, blue and beige, these five Bamboo Nesting Mixing Bowls are designed to brighten up your kitchen. 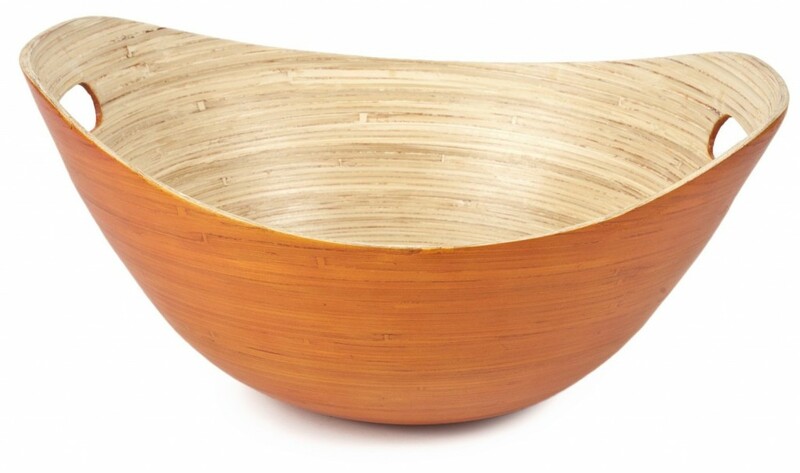 Made from a special bamboo composite, these bowls are durable, functional and environmentally friendly. 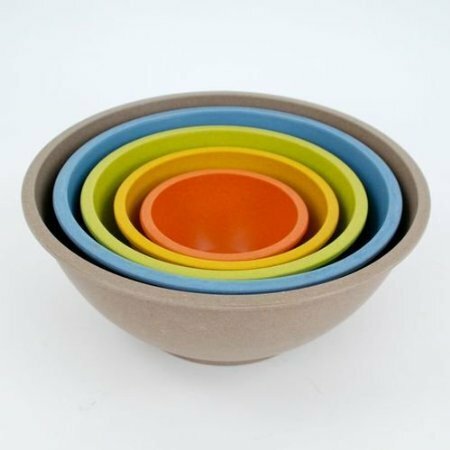 Perfect for snacks, salads, serving or mixing, this set of five mixing bowls makes a great addition to any kitchen table. Largest bowl is 10.5 inches. Distinctively stylish, ultra durable, and totally organic, the Core Bamboo Bucket Bowl is a great addition to your kitchen utensils collection. It is crafted from 100% organically grown bamboo and features artistic design that is both chic and practical. This bow is great for salads, fruits and chips, and perfect for serving with cut out handles that make taking from kitchen to tabletop a snap. Clean it with warm soapy water or a damp cloth. 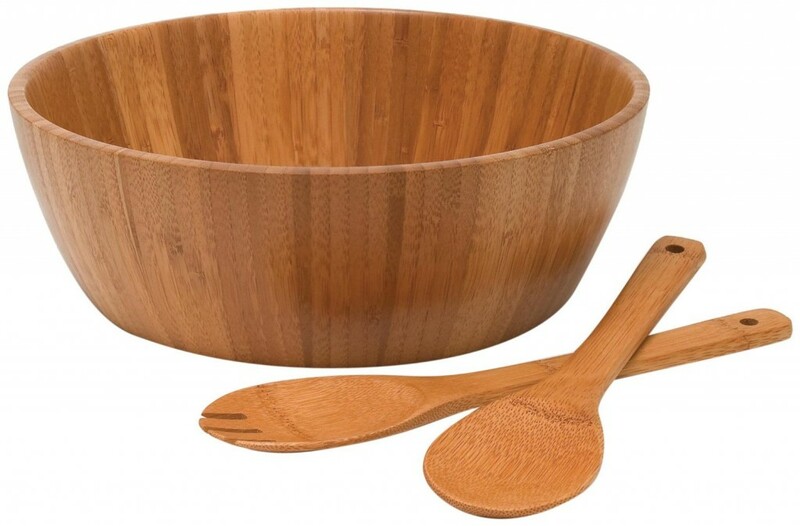 Made of bamboo wood-a renewable resource, this Lipper International Bamboo 3-Piece Salad Set delivers durability, functionality and is environmentally friendly. It coordinates with other Lipper international bamboo collection accessories. It comes in a nature color without stain for better performance. In addition, this set is easy to wash. Use mild soap and water and dry thoroughly. It can also be uses as great gift for friends.